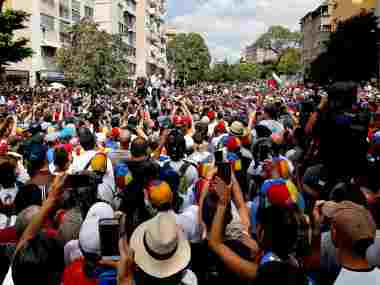 Caracas: Venezuelan opposition leader Leopoldo Lopez was returned to house arrest after being detained in military prison for four days, his wife Lilian Tintori said. 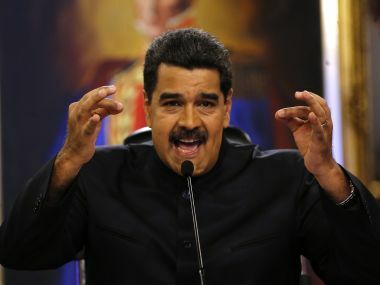 Venezuela Assembly loyal to president Nicolas Maduro fired attorney-general, a vociferous critic, bolstering criticism of creating a "dictatorship." 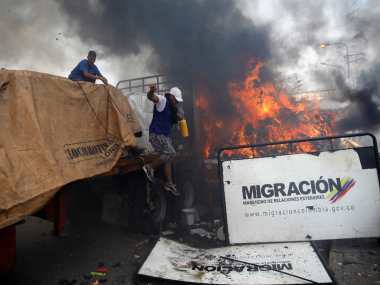 Two people on motorbikes threw Molotov cocktails at Spain's embassy in Caracas, but there were no casualties, the prosecutors' office in Venezuela said.